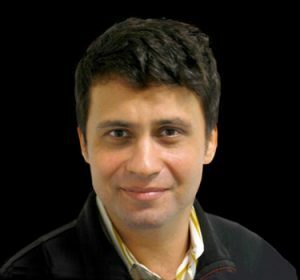 Jevgenij Raskatov, assistant professor of chemistry and biochemistry at UC Santa Cruz, has been honored by the American Peptide Society with the 2019 APS Early Career Lectureship, which recognizes early career investigators who have demonstrated innovative research in peptide science. Raskatov was also awarded the 2018 Young Investigator Award of the Boulder Peptide Society, established to support promising peptide scientists during the pre-tenure period. Raskatov's research focuses on a peptide involved in Alzheimer's disease known as amyloid beta. Amyloid beta clumps together into sticky fibrils that form deposits in the brains of people with Alzheimer's disease. Researchers have found that "oligomers" consisting of a few amyloid beta peptides seem to be more toxic to brain cells than the large, insoluble fibers. Raskatov's team has identified features of amyloid beta that influence the aggregation of the peptide, including alterations that can suppress the formation of toxic oligomers. The Young Investigator Award was given to Raskatov in September at the Boulder Peptide Symposium, where he gave a presentation on his research. As a recipient of the APS Early Career Lectureship, Raskatov will give a talk at the American Peptide Symposium June 22 to 27 in Monterey.